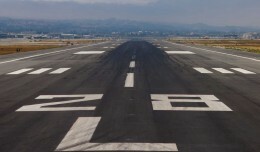 What do runway numbers mean? Whenever there is an aircraft incident of any kind, you will often hear reporters reference the runway with a single or double digit number. Many people, including those reporters themselves, are not aware of what that number designation means or how it was picked. But like with everything in aviation, there is a very specific reason for it. 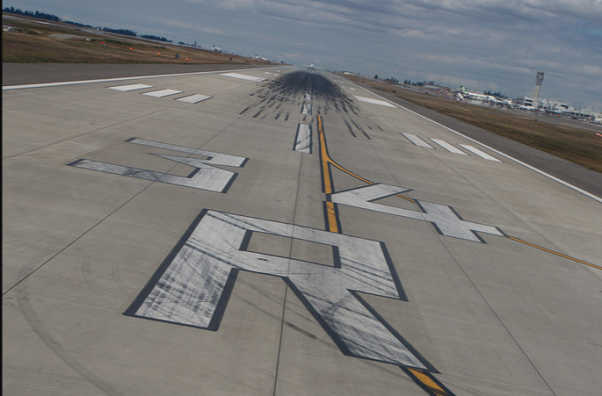 Runway numbers are in reference to the 360 degree heading that the runway faces, just with the last number dropped. 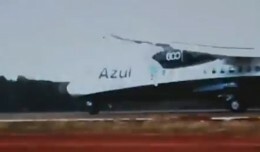 So when you see runway 31, for example, you know that it faces 310 degrees…just add the zero. This is why one stretch of runway pavement has two runway numbers, so as to tell you the runway heading in either direction. Some runways have letters attached at the end of them, which can be L, C or R. These stand for left, center or right, and mean that there is a parallel runway that shares the same numbers, requiring further differentiation. How do to say it properly? Can I determine the opposite direction’s number without looking it up? Yep. The way to figure it out in your head is to determine the difference between that number and 18. The lower number subtracted from the high number of runway directions will always equal 18. Standing near runway 27 and curious what the opposite number is? How would you get to 18 from 27? You would subtract 9, so 9 is the opposite direction’s number. Yep, he did. And he was wrong, of course, since that would reference 440 degrees, which does not exist. But don’t worry, it turns out he wasn’t a real pilot anyway, and cockpit security has improved greatly in the last half century. Do the headings reference magnetic or true north? Good question! The lines of longitude on a map all point to the north and south poles that comprise the Earth’s axis, which is known as the “true” north pole. However, a compass will point to an off-center location, known as “magnetic” north, which is over Canada. Because flying aircraft rely on magnetic tools to reference their own heading, runway numbers are named with magnetic headings. The magnetic north pole is actually moving ever-slowly toward Russia dozens of miles per year. Because of this, some airports have changed their runway numbers to maintain the correct heading reference. Phil Derner founded NYCAviation in 2003. A lifetime aviation enthusiast that grew up across the water from La Guardia Airport, Phil has airline experience as a Loadmaster, Operations Controller and Flight Dispatcher. He currently runs NYCAviation and performs duties as an aviation expert for the media. You can reach him by email or follow him on Twitter. A mile of runway can take you anywhere. 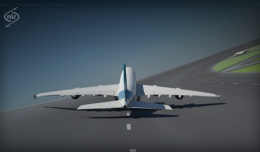 We take a look beneath the surface to see how runways are engineered and maintained. 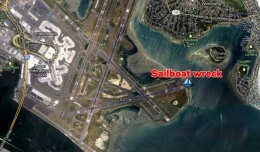 An unoccupied sailboat broke free of its mooring in Boston Monday morning, running aground next to Logan Airport's runway 9/27 and causing delays as the runway had to be closed, the airport said. 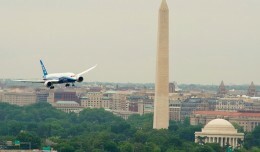 Boeing's 787 Dream Tour made its way to an improbable destination on Monday -- Washington's Reagan National Airport -- a field that will almost certainly never see scheduled 787 service due to its size constraints. good post. i was waiting to see if you mentioned why runway numbers sometimes change and you did! of course, when the magnetic poles swap as they may between now and 1 million years, there will be a lot of repainting going on.